This fast paced running game defies certain laws of physics. Run and jump your way through the levels of warped gravity as the runner or the more challenging skater. Cause mass destruction wild west style in this fun shooter game loaded with 40 levels! Shoot all the bandits in each level with your limited ammo. Bounce bullets to take out multiple enemies at once or hit objects around the level to cause a chain reaction of death. Can you achieve the highscore in this fast paced dirtbike race? Careful not to flip over as you race through the dirt tracks in this classic rider game. Go go go! A massive tornado is hot on your tail and all you've got on your side is your old trusty bike. Take on the tough terrain and various obstacles as you go for the ride of your life! Everything is at stake! Run and jump your way through this second adventure world to reclaim your ice cream prize off that thieving Angry Rabbit! Race your BMX bike in this rider game and complete challenges to unlock levels and achievements. Can you perform amazing stunts and still win this biker race? Thinking is the key to mastering these 40 challenging levels. Use all your logical skill to shoot portals in the right place and escape from each level. Pull off insane jumps and tricks as you carve your way down the slopes, avoiding avalanches as you go. Use your special gravity-reversing powers to run through each level safely. In this game, you are the gravity master! Perform jaw dropping stunts by manoeuvring your four wheel-drive truck through challenging terrain! Get to the end of each stage before the time runs out! Utilise the gravitational fields of the various surrounding planets to guide your ball through this intergalactic golf game. Ride your board through the snow. Collect points and time bonuses along the way and gain speed to do more impressive flips and jumps. Mind those logs though! Use all your logical thinking to free yourself from the bubble you're trapped in and reach the special bonus levels! This 50-level physics puzzle game will keep you hooked for hours. With 2 minutes on the clock, score as many points as you can by swimming and jumping your dolphin. Build your speed for more awesome flips and tricks! A physics-based remake of the classic arcade game Space Invaders! You have the same objective but you must push their wreckage off the stage. Pick up speed and do awesome jumps and tricks by drawing your own slopes and painting your own cliffs in this addictive fast paced skiing game. Ski through gates to boost your points! Create filler balls to fill 2/3 of the screen. It may sound simple, but beware of the fast bouncing balls! 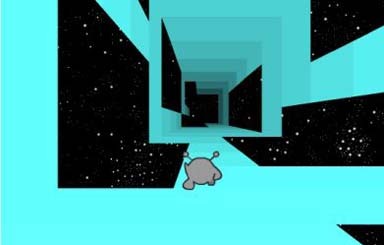 Slide the tiles to collect the key to each level's exit. With over 30 levels this maze-like puzzle game will keep you hooked. Gravity llama needs to return home to save its family and friends! Use its special gravity defying power to help him through multiple levels and collect gold coins along the way. Help Meat Boy jump his way to Bandaid Girl. Careful of the fast paced moving screen! Complete 3 of 5 levels to unlock the next set of levels. Can you fire the Ragdoll man out of the cannon and hit he target? Fire the Ragdoll man at different angles, bounce him off walls and objects to get him onto the mattress. There are over 20 levels of physics game fun to try your hand at. Rearrange High Voltage Wires for Maximum Amperage! Shine a light on the city by completing connections. Twist your wire blocks to make a complete line from left to right. Catapult Comeau the nerd all the way through Berzerk Land. Gain experience and earn cash for new gear to make your character more powerful! Engage in siege warfare by using your trebuchet to destroy the castles of neighbouring kings in the name of glory. Strategically cut ropes to guide the gens to the gnome in each hazard-filled level of this addictive physics-based puzzle! Load the boxes into the truck in a certain order to complete each level. Be careful with the delicate boxes or they will smash to pieces! Get through 30 levels by guiding the sticky ninja platform to platform, taking out enemies along the way.